Do you want to revive yourself after an active week of work and accomplishments? Or do you still have some concerns about the cold nights of the recently passed January and February? Then, the recipe of today should be in your hands in time. 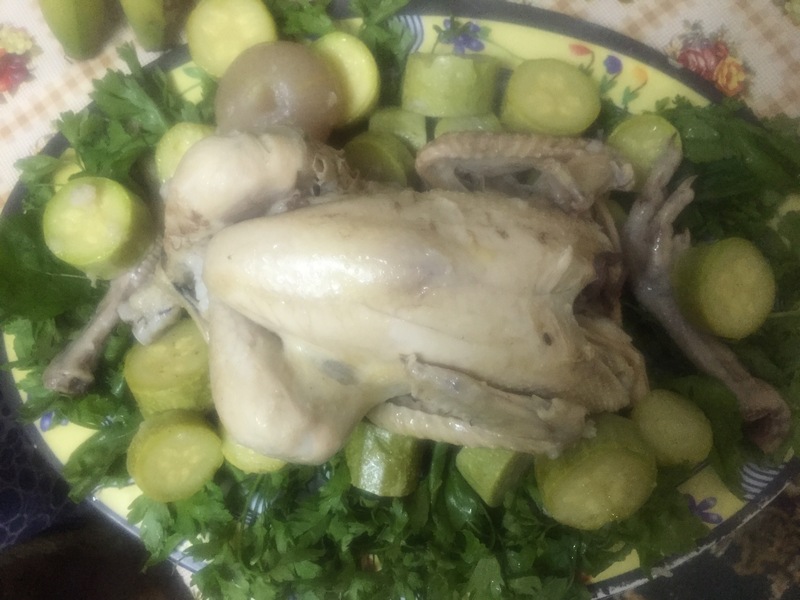 I called it “chicken king” because it suits the previous situations I mentioned above, when you feel hunger dead and wish to revive yourself with light and energy-rich healthy and balanced warm food. It is a kind of Egyptian food in which the chicken is filled with rice that can be spiced according to individual taste. 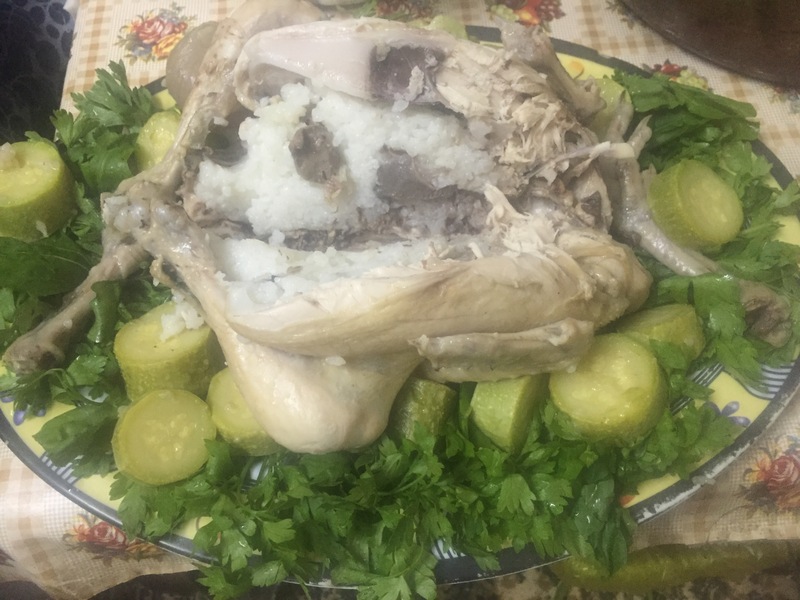 The concept in this recipe, in addition to the rice filling, is that the chicken is halved longitudinally so two servings can be made with suitable green vegetables like parsley and coriander, cooked vegetables like green peas and zucchini, etc. 1- medium chicken (about 650 – 1200 gm, net weight). 3- green vegetables, e.g. parsley, coriander, rocca, etc. 4- favorable vegetables, e.g. zucchini, carrot, green peas, onion, etc. 1- wash the rice several times with drinking water and then cook it to 80% in a small pot. In this step you can cook the chicken’s organs, e.g. liver, etc., by dropping them with the rice in the same pot. Make sure you added more a bit more water to the rice and let it boil for about 15 minutes while the pot is covered. Then turn the flame off. 2- wash the chicken very well with water and fill it with the 80% cooked rice and the chicken viscera, e.g. liver. Then you should know how to fix the the thighs of the chicken as professional cooks do. This will keep the filling inside and give the chicken after cooking its standard appearance with closed thighs. 3- then put the chicken in a suitable clean pot with a cup of water and let it boil and then adjust the flame to near low. 4- after about 25 minutes put the vegetables to cook with the chicken for 15 minutes. You may add a cup of water if you think it is necessary at this step. 5- start washing your green vegetables and garnish them beautifully in the serving dish. 6- when the vegetables are well cooked turn off the flame and let the food rest for a few minutes. 7- take the vegetables out of the pot gently and serve them suitably in the serving dish. 8- take the chicken to the serving dish and let it cool for five minutes. 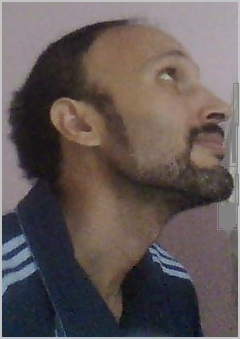 Halve it longitudinally by a suitable knife. You can start this rich meal with some favorable fresh juice and fruits.